People biking will be detoured to NE Cleveland Avenue for the project's duration. 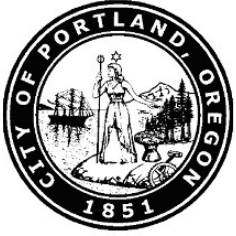 (Aug. 31, 2018) – The City of Portland Bureau of Transportation advises the traveling public that street improvements on N Williams Ave from N Beech Street to N Killingsworth Street will require lane closures starting Tuesday, September 4, 2018 and continuing through approximately September 18, 2018. Lanes will be closed from 7 a.m. through 4 p.m. each work day and possibly on weekends. The lane closures will allow crews to grind and pave 3.04 lane miles of pavement. Streets with ground down surfaces are open for travel. Lane closures are only in effect during project hours. Access will be maintained for businesses and residents during the project. For the safety of people biking on this popular bike route, bicyclists will be detoured onto NE Cleveland between N Beech and N Killingsworth. This work is weather-dependent, and the schedule may change.